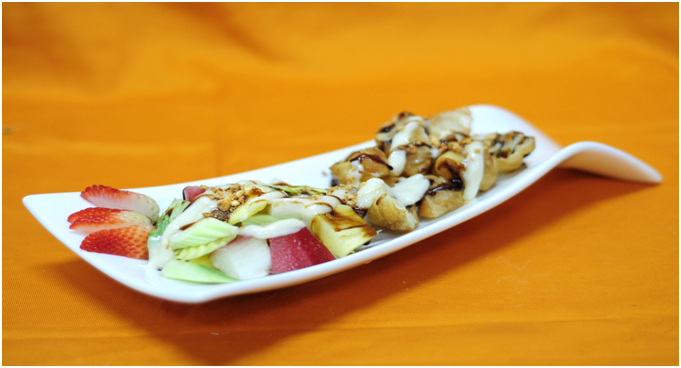 A New Twist To The APA Rojak Which Includes Our Special Mayonnaise Mix! Introduces Another Delectable Flavor Profile For Your Pleasure. Inside have all fresh fruits and vegetables : Pineapple, Chinese Turnip, Cucumber, Rose Apple, Young Mango, strawberry , Peanut.